Gift Someone a Boxing Masterclass Course! Gift Someone our Boxing Training Course Today – And Save 50%! 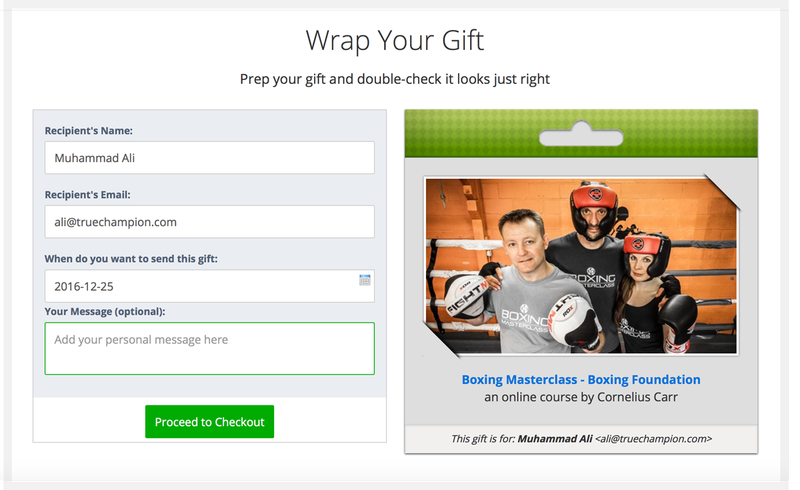 Why is a Digital gift like our Boxing Masterclass course such a great choice? No need to wrap the gift. Our Boxing Masterclass course exists online – ready and waiting to be accessed by students. So forget wrapping paper, scissors, and tape. No shipping required. Available immediately. As soon as you purchase the course – it can be instantly available to the lucky recipient. 3.5 hours on-demand video. Full lifetime access. Access on mobile and TV. Available anywhere. Boxing Masterclass is available to any country in the world. As long as you have a connection to the web, you be able to enjoy the course.